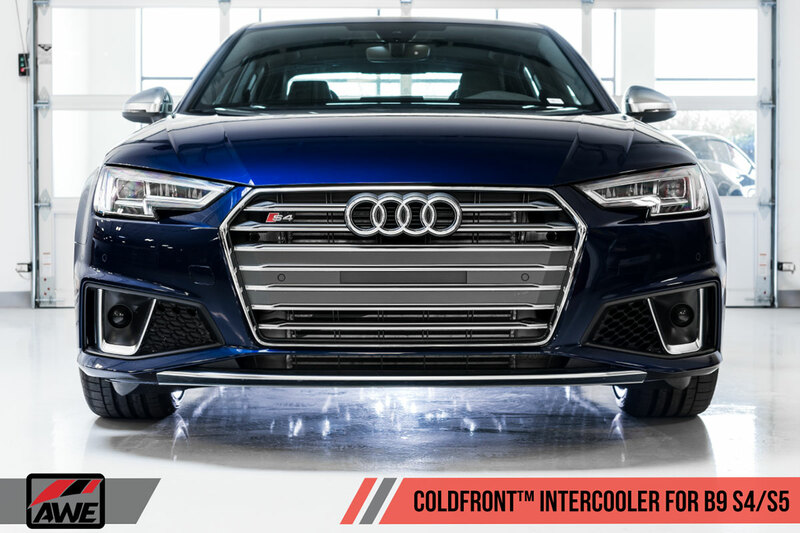 AWE Tuning is pretty much synonymous with high-performance aftermarket Audi tuning. 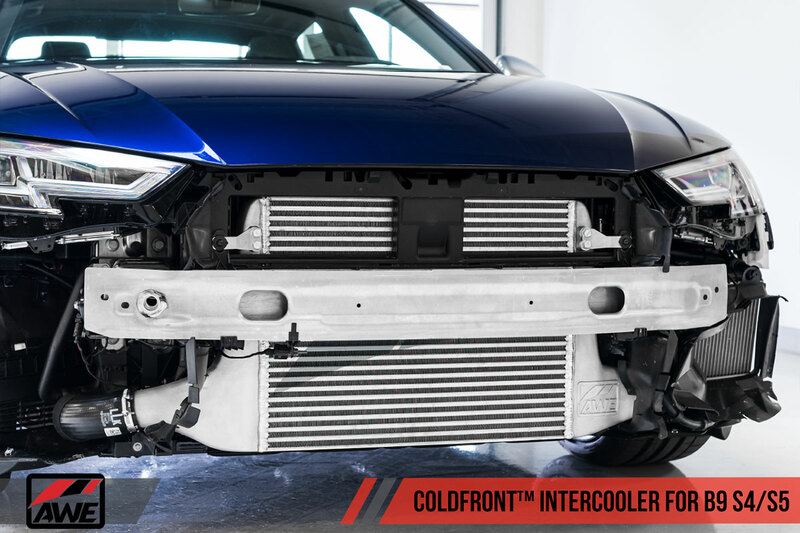 They make tons of different parts, but they are all designed to fit like an OEM part and help unlock your Audi’s true performance. 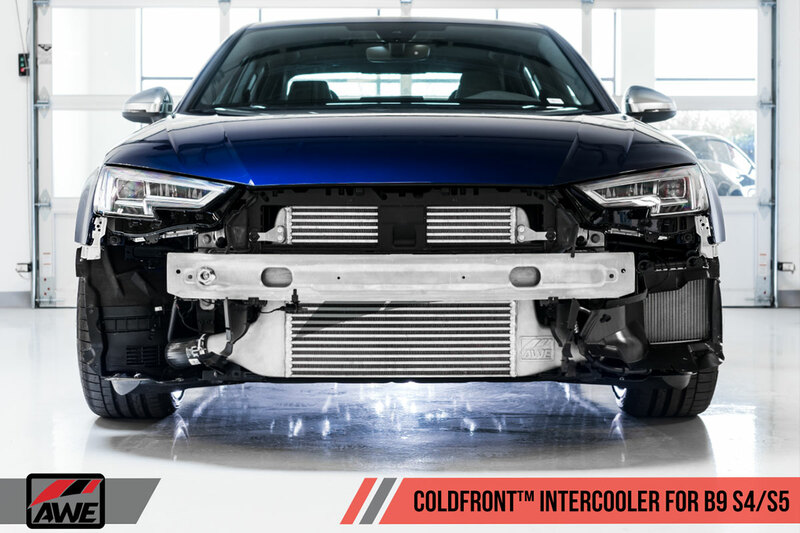 One of the best modifications for any turbocharged engine is a larger intercooler. 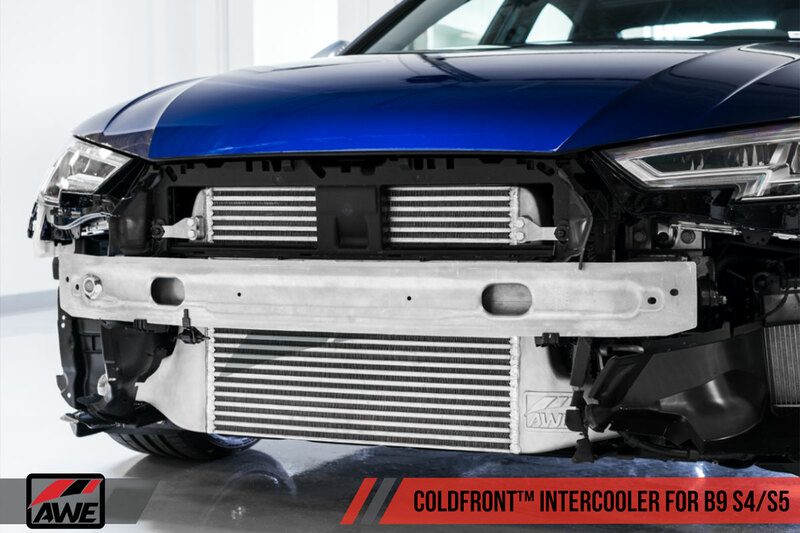 With a larger intercooler, charge air temperatures are decreased which reduces the risk of detonation, allowing for more aggressive ignition timing and increased boost levels. 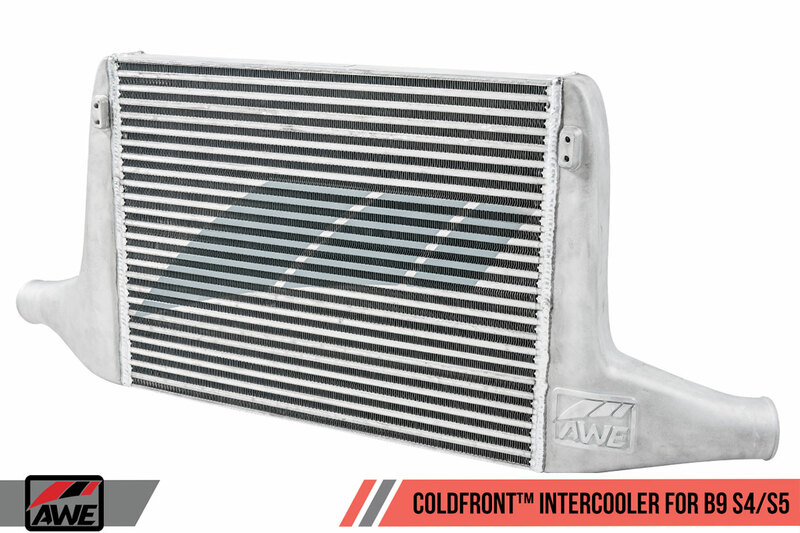 For the B8 S4/S5, AWE just announced their new ColdFront Intercooler. 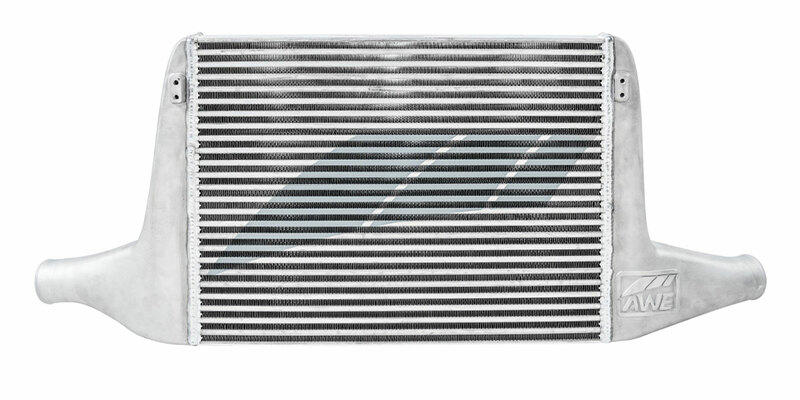 By redesigning the shape of the intercooler, AWE increased frontal surface area by a massive 130% and increased total volume by 83%. 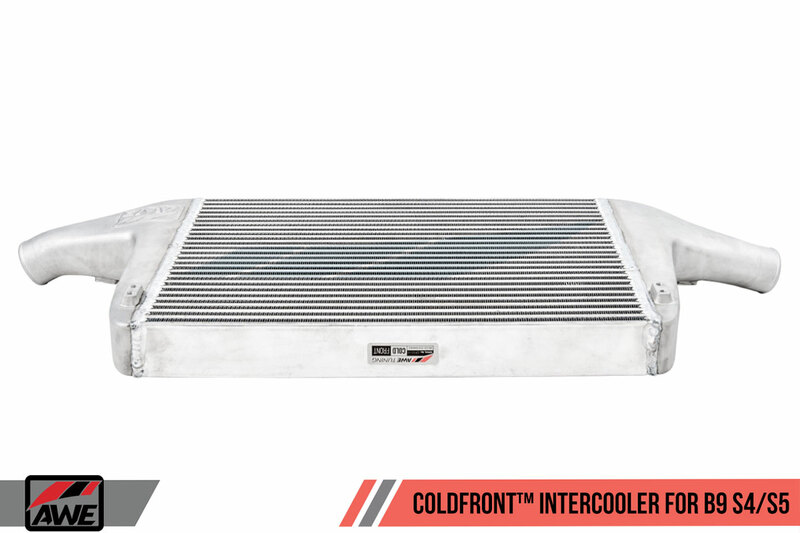 They achieved this by extended the intercooler upwards, taking advantage of available space in front of the radiator. 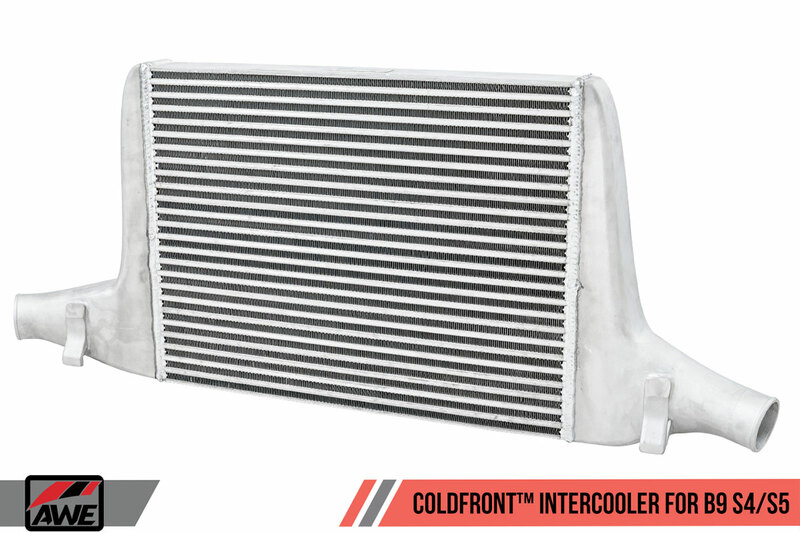 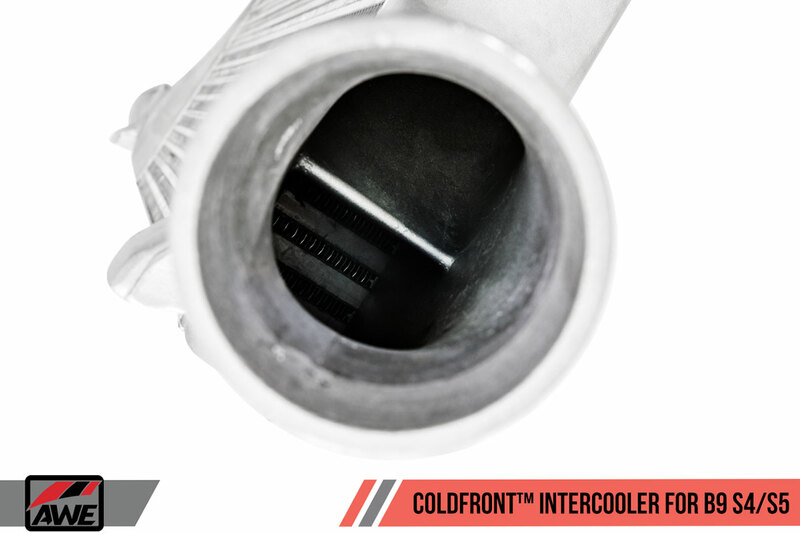 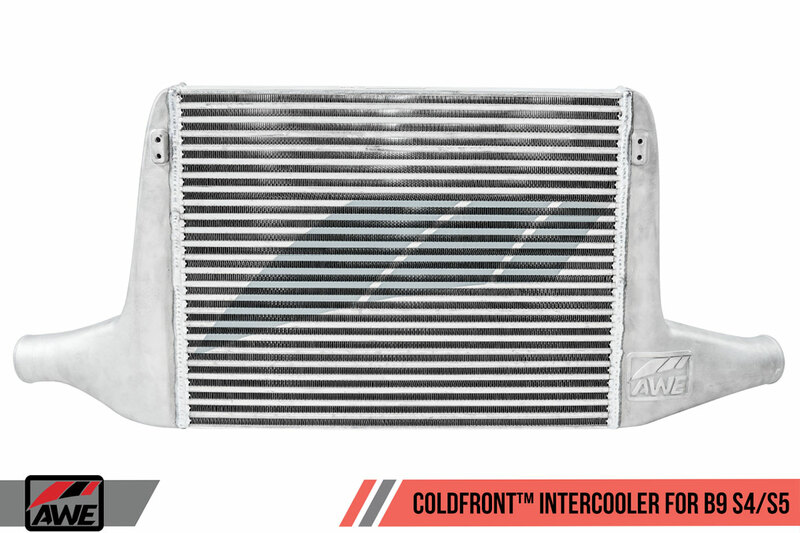 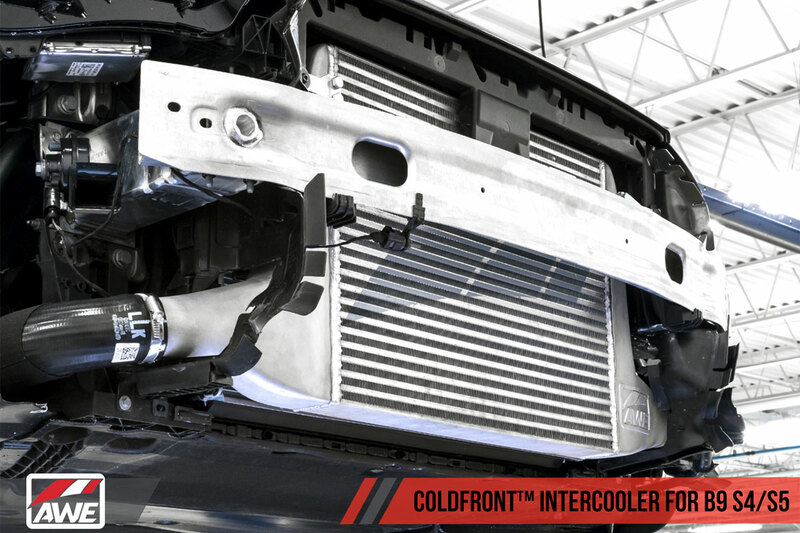 With the big increase in surface area and volume, the AWE ColdFront intercooler massively decreases charge air temperatures and offers more consistent charge air temps during long wide-open-throttle pulls.